Mark Porter submitted this photo and caption. Picture of my C6 Corvette taken in Elkridge, Md. I reside in Red Lion, Pa., a southern California boy so far from home! I marched as a contra bass (C-6) with the Kingsmen Alumni Corps in 2006 and 2007 and then with the Hawthorne Caballeros Alumni in 2008 and 2009. 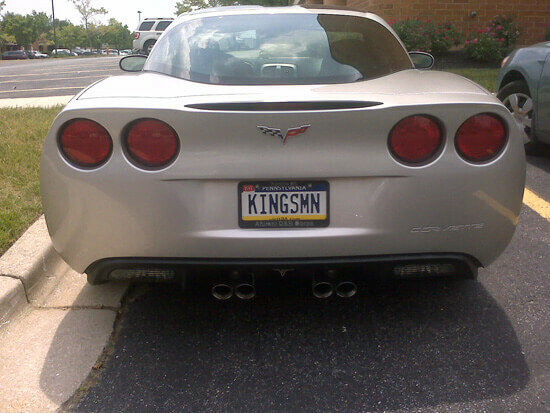 I may be in PA but my allegiances still belong to the Kingsmen!